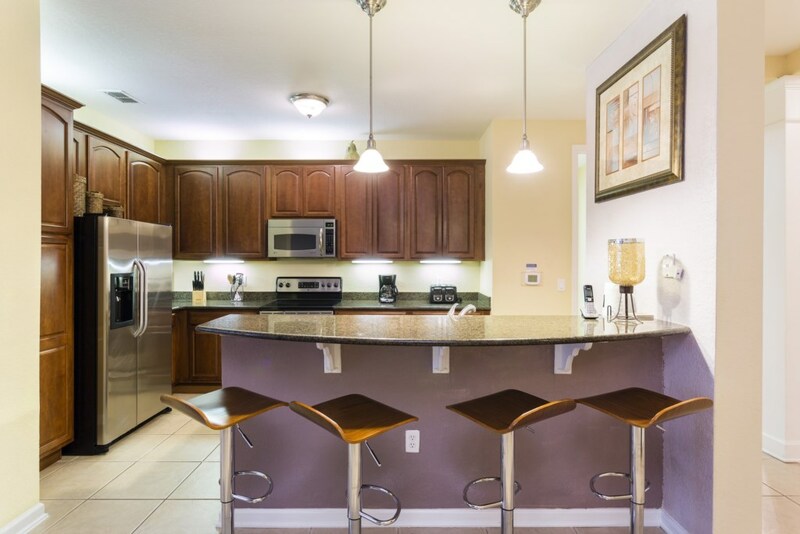 This spacious 4 bedroom and 2 bathroom villa, located on the ground floor and with capacity for 8 people, offers plenty of high quality relaxation that are sure to satisfy all of your vacation needs. 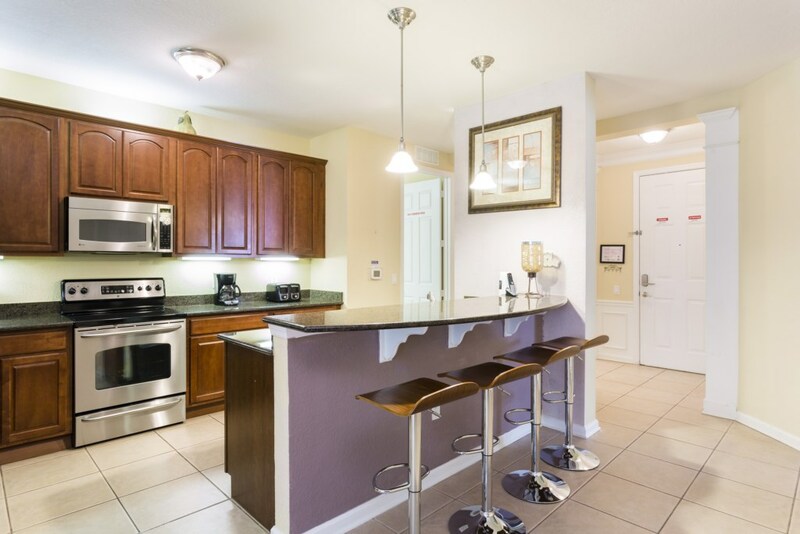 The kitchen comes fully equipped with a microwave, oven, stove and 2 door refrigerator. 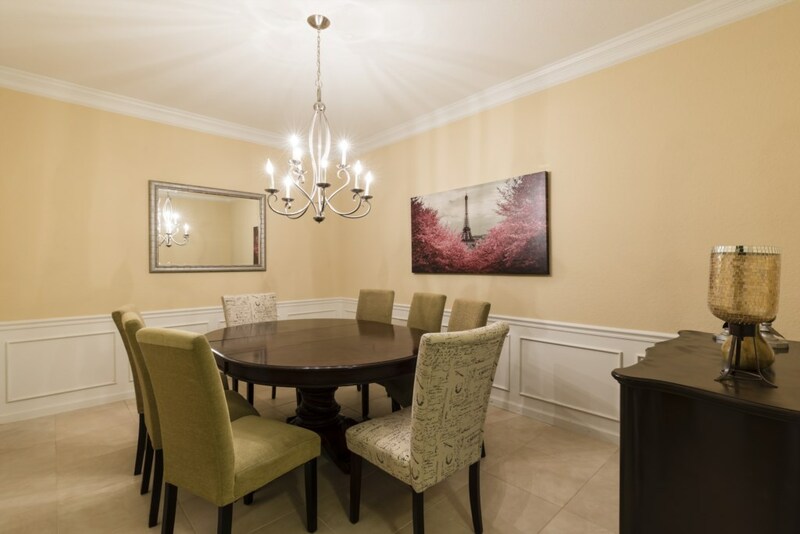 It also includes cloth napkins, place mats and utensils for as well as pots and pans. 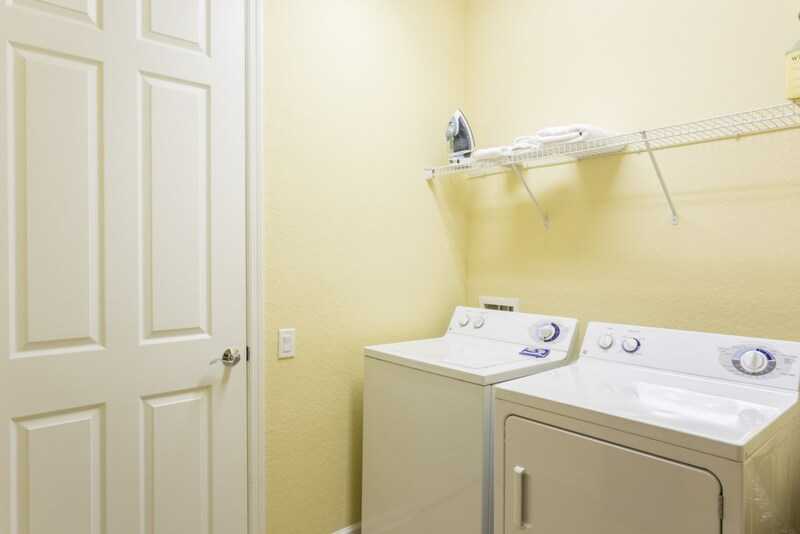 There's also a laundry room where you'll find complimentary detergent and fabric softener for the quantity of your first wash. 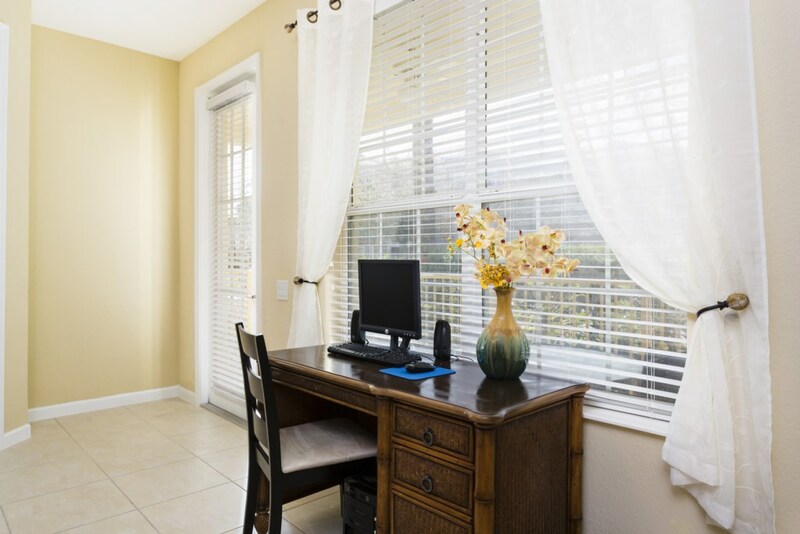 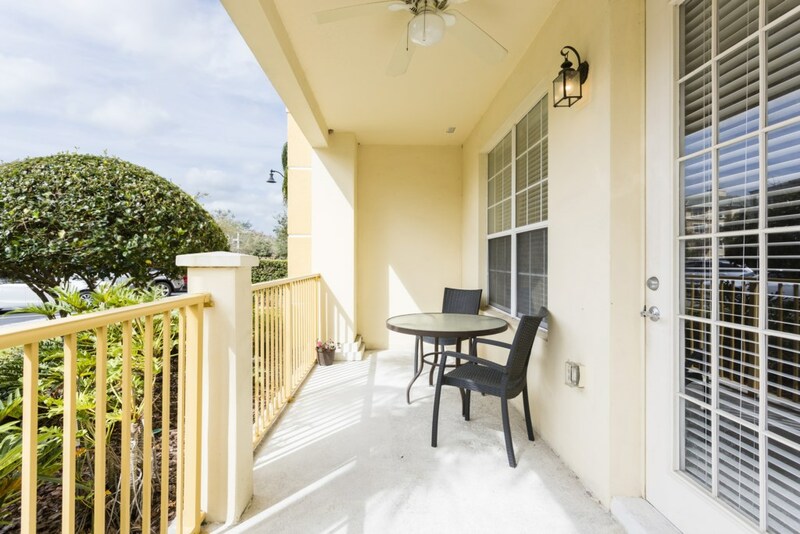 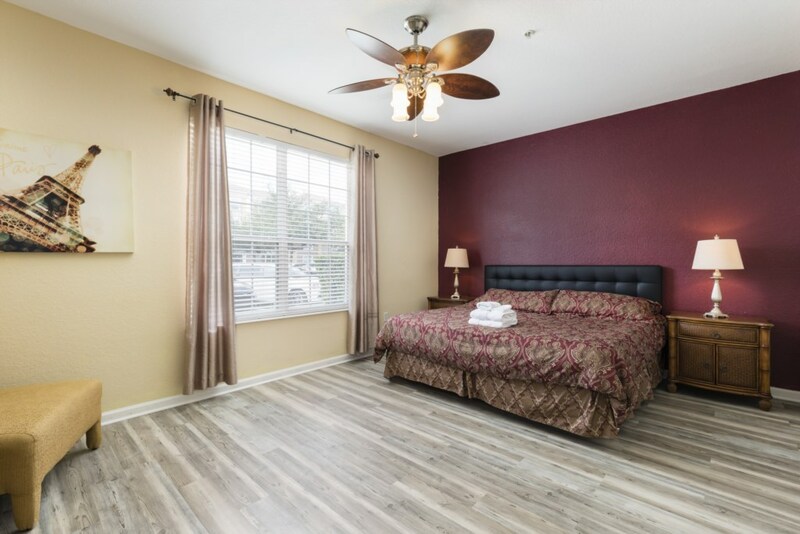 There is hard floors in the rooms and tile floors in all the main areas. 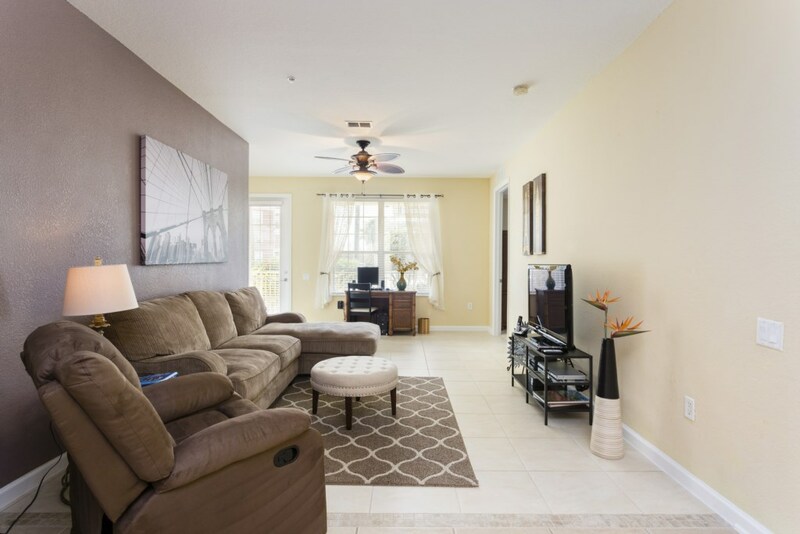 All the rooms and living room are equipped with flat TV's. 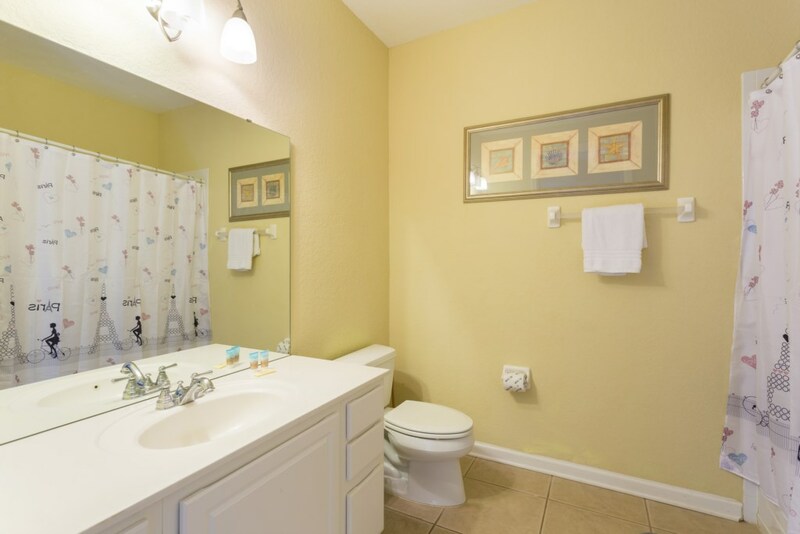 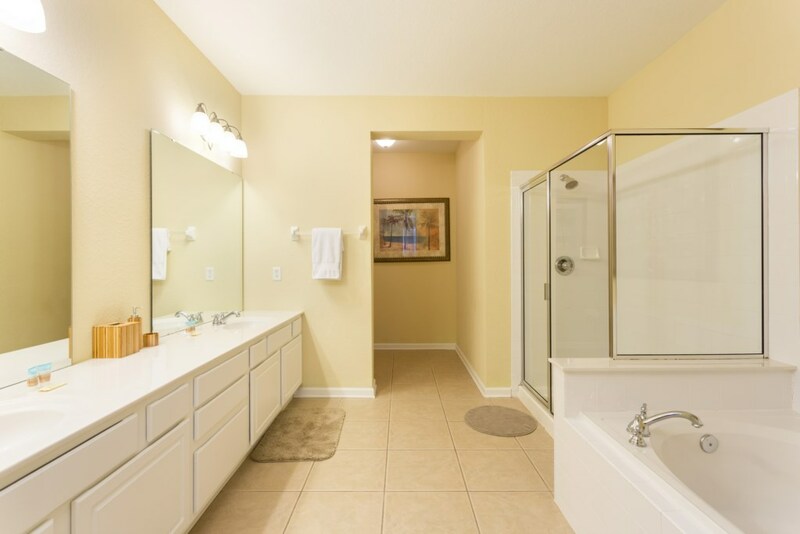 The master suite has a king size bed and the master bathroom includes tile flooring and a shower / tub. 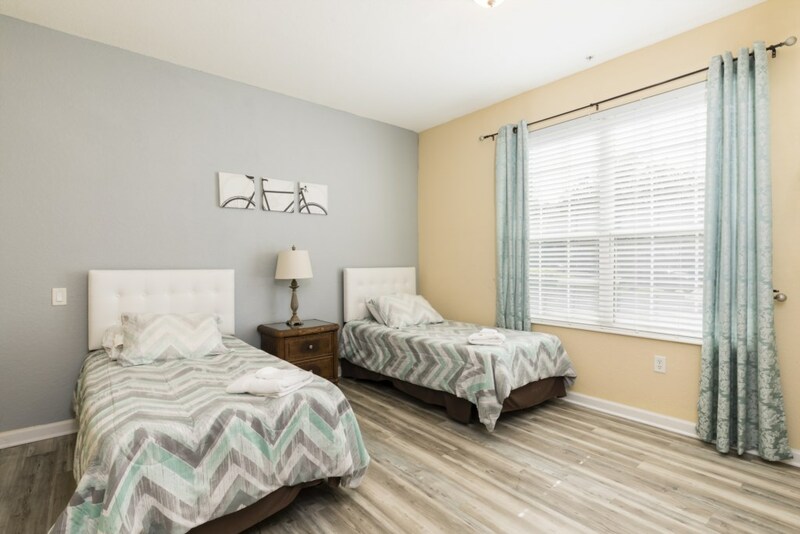 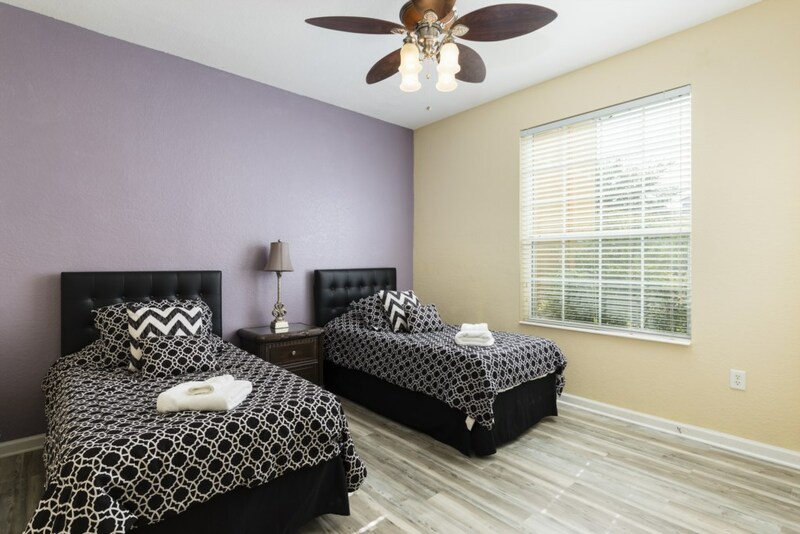 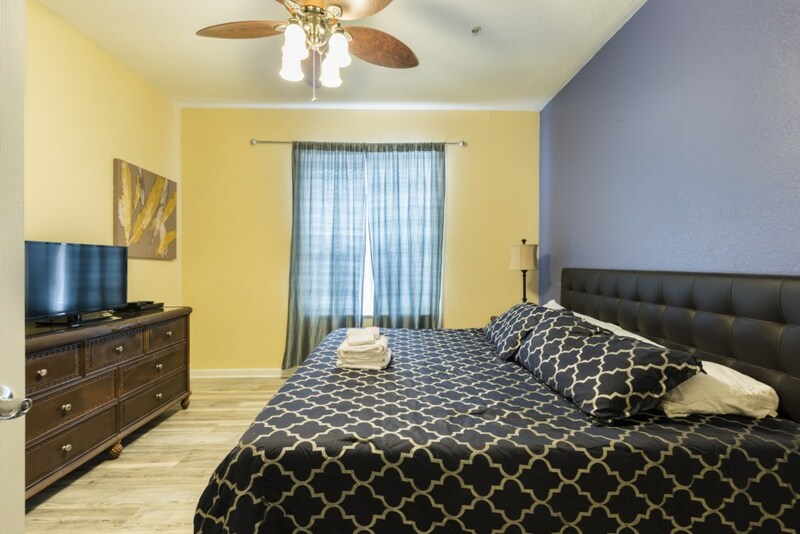 The second bedroom has a king size bed, the third and fourth one counts 2 twin beds each and the second bathroom has also tile flooring and a large shower.